If you are having problems reading this email, try this. 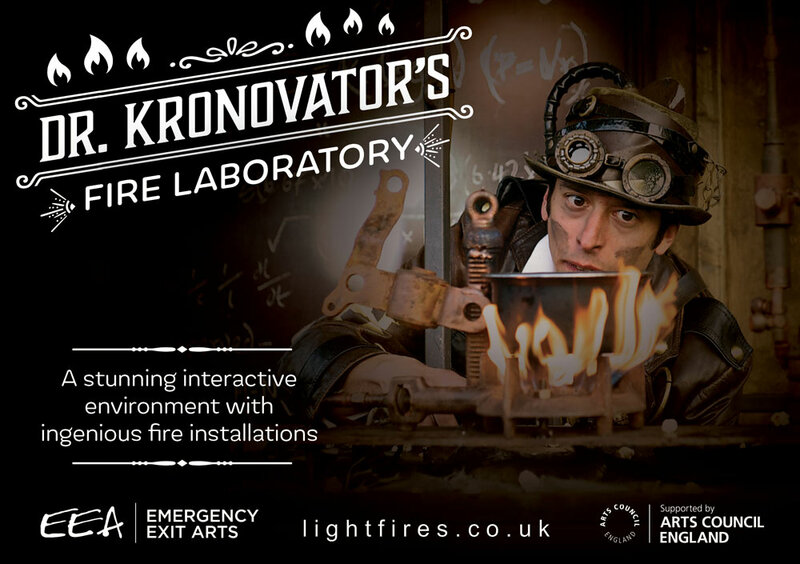 Wander through a vista of flames and chemical reactions to meet the eponymous Dr. Kronovator and his acrobatic assistant preparing their experimental flame and steam powered contraptions that audiences are invited to activate. 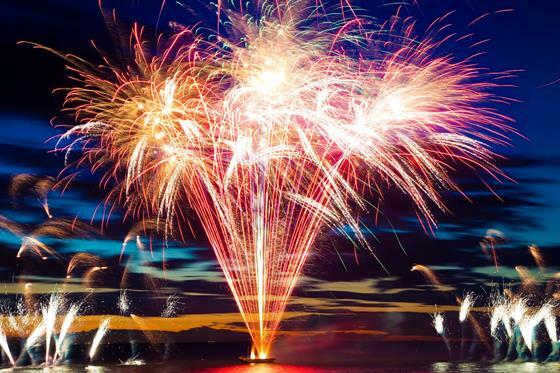 A large scale spectacular with a dramatic fireworks finale. The Colour of Colours – A large scale show with procession and fireworks – a dynamic fusion of tradition from India with contemporary British Asian and global urban culture. Hanuman's Tale – Suitable for schools, libraries and museums. 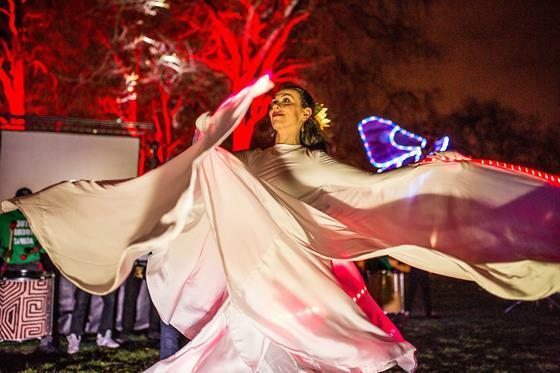 Watch the story of Diwali unfold with interactive storytelling, traditional South Asian dance, live music, light projections and shadow puppetry. Freaky Monkeys – The ideal character walkabouts for dark nights in their vibrant gold and red costumes. Highly physical, including an optional stilt walking troupe, we can provide up to six costumed performers. 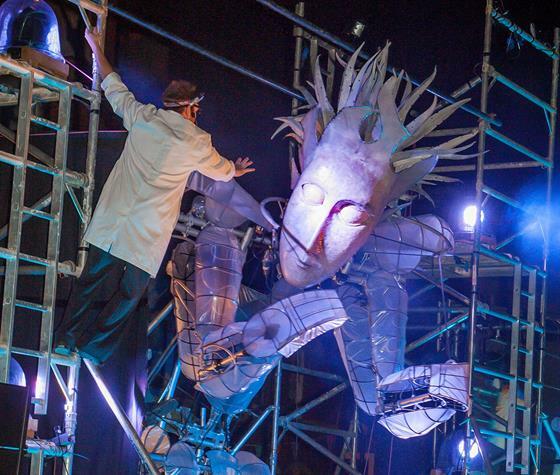 We create dramatic displays, fire shows, sculptural bonfires, street performance using close proximity pyrotechnics and large scale fire breathing mechanical puppets. 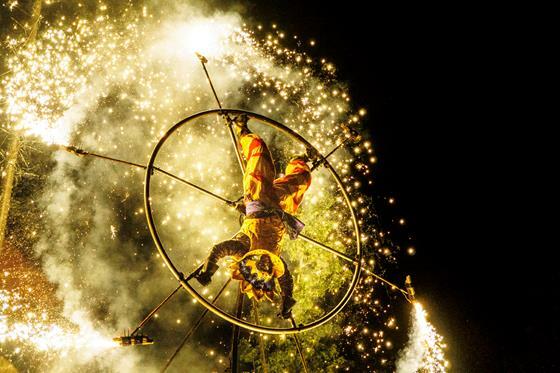 EEA's fireworks displays are renowned for imagination, beauty and power, uniquely choreographed and responsive to each client. Our regular 5 November displays include Southwark Park and Blackheath, some of the biggest in London. 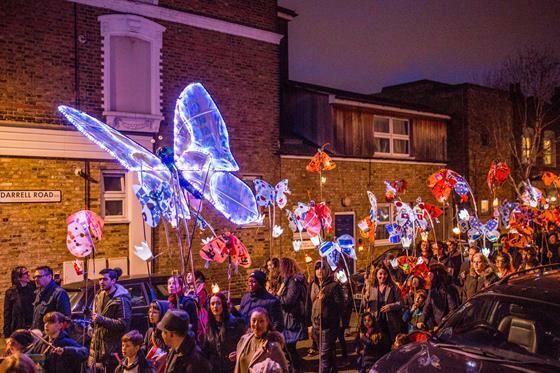 We have perfected the art of transforming dark and otherwise familiar streets with illuminated processions and lanterns, bringing light, colour, costume, dance and music. 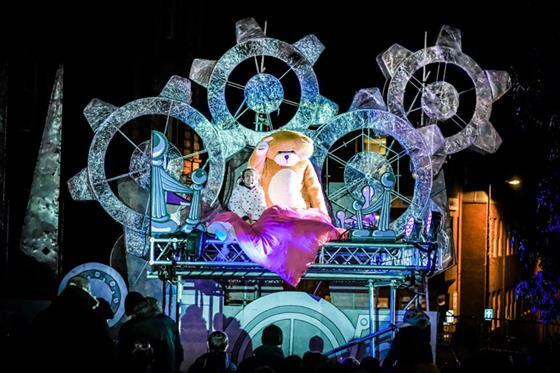 Our huge mechanical puppets and creatures can be illuminated to provide close-up spectacle in a public space. Our highly skilled practitioners can deliver workshops with schools and community groups to create bespoke lanterns to join the procession. Moth and Butterfly These beautiful LED lit processional pieces flutter above the heads of the parade. Fire Bird – The magnificent Fire Bird is a high impact giant metal puppet that stalks, bends, pecks and rears up to five metres tall with a fountain of sparks from its beak. To find out more about what we have to offer or to discuss how we can work with you to create something new for your event drop us an email: info@eea.org.uk or call us on 020 8853 4809.